Figma is passionate about making design accessible; and what better place to cultivate design thinking, breakdown barriers and collaborate with others, than in the classroom. If you are part of an accredited educational institution - as either a student or an educator - then you may qualify for a Figma Student account. Student accounts allow you to access all of the functionality available on our Professional plan, without any of the cost. Be a student or educator affiliated with an accredited institution. Sign up to Figma with your student/educator email address (this will be authenticated as part of the application process). Tip! An "accredited institution" will be one that is officially recognised by a local or national government body. This can be either a secondary or tertiary ("higher") organization ( e.g. a high school, university, post-graduate institution, trade school, polytechnic, college etc). They will usually offer degree, diploma and/or bachelor's programs and administer a student email and/or identification card. Note: While they aren't educational institutions, Figma does not provide free accounts for startups or "not-for-profit" or "non-profit" organizations. 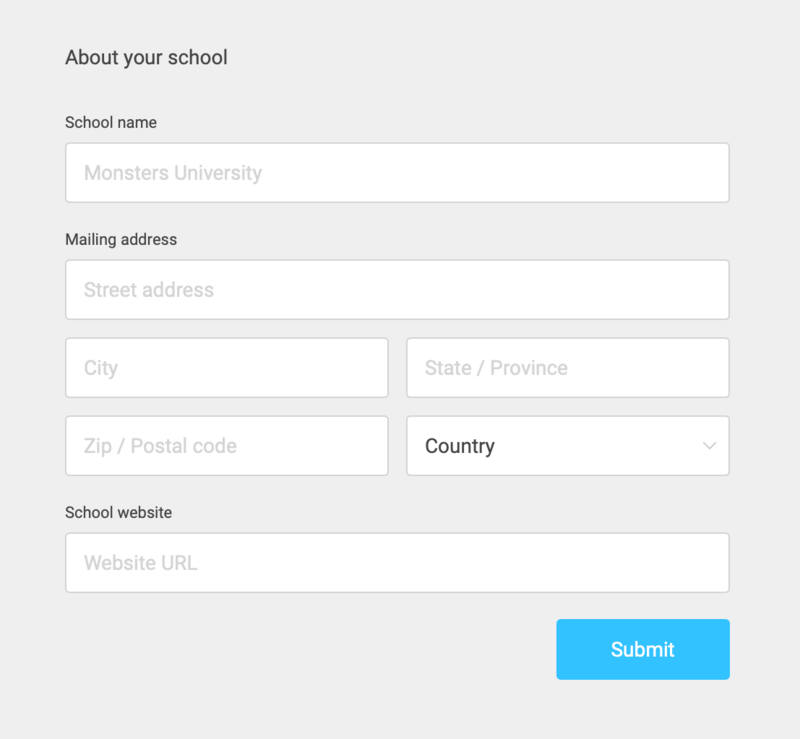 Sign up for a Figma account using your school-issued email. Complete the Figma Education application form. To qualify for a student account, you will need to sign up for a Figma account using your student email address. In the pop-up window, enter your Email address in the field provided. Enter a unique Password in the field underneath. Click the Sign up button to complete the process. You will be logged into your Figma account immediately. We recommend you complete your account verification after signing up by clicking the link in the verification email we sent to your email address. For step-by-step instructions on signing up with Figma, check out our Creating a Figma Account article. 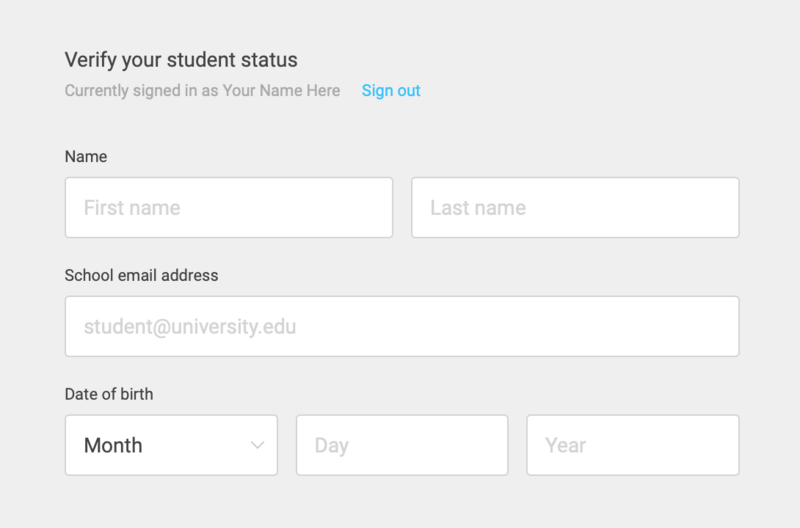 If you're already using Figma and you want to upgrade your existing account to a Student account, then you will need to make sure your account is set up under your student email address. You can update the email address associated with your account by clicking on your name in the top-left corner and going to your Account Settings. Learn more about changing your account details in our Managing your Account article. Then we will need some more information About your School. You'll be required to enter the School name, Mailing Address and School Website. Click the Submit button to complete the application process. We will perform a series of checks to confirm whether the email address used belongs to an accredited institution, or not. You will receive an email to confirm whether or not your application was successful. If your application was successful, then you will now be able to create a Student Team. If you already have Figma, then you can follow the steps below to Upgrade your Team. Otherwise, you can go through the process of Creating your Student Team. Open Figma and head to the Team page. Click the Upgrade your Team button in the Team Settings section. Click the New Team button in the bottom-left corner of the screen. Give your Team a name and click Create Team to create your Team. You'll now have access to all the benefits of the Student plan - like the Team Library, Advanced Permissions, Unlimited Projects and Unlimited Version History. Anyone you invite to a Student team will be automatically added as a Student account, as long as their email address matches the school's. Make sure to use their school-issued email address when inviting a collaborator to Figma. Learn more about adding and inviting Members to your Team in our Creating your Team and Managing your Team articles. I am a student of an accredited institution, why was my application declined? We use an automated process to verify if your email address is registered to an accredited institution. If you have used a personal address, or an address not currently recognised by the registry, then your application may be declined. If this happens, you can reach out to Figma Support by clicking the "?" 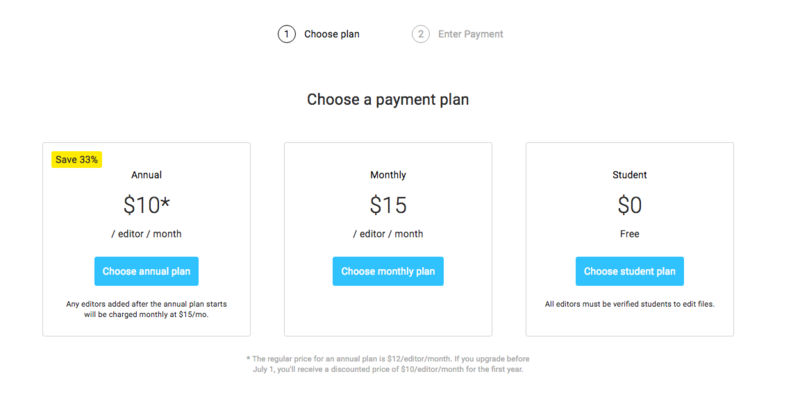 icon in the bottom-left corner of your Figma account and choosing " Get Help", or sending an email to support@figma.com. We cant then add your institution to the registry at our end, so any future applications are successful. The URL of the institution you are enrolled with. A copy of your school-issued identification card. If you do not have an ID card, then you may need to provide us with your current transcripts. If you have been using Google SSO (Single Sign On) to access Figma, then you will need to disconnect Google SSO from your account before your address can be updated. Learn more about changing your account details and removing Google SSO in our Managing your Account article. How do I invite new Members to my Student Team? Once you have upgraded your Team to a Student Team, anyone you invite to that team will be automatically added as a Student account. Make sure to use their school-issued email address when inviting them to Figma. I've upgraded to a Student Team, but it's still showing "Upgrade to a Professional Team"
Even though a Student team gets access all the functionality of a Professional plan, a Student plan is a separate plan entirely to a Professional plan.